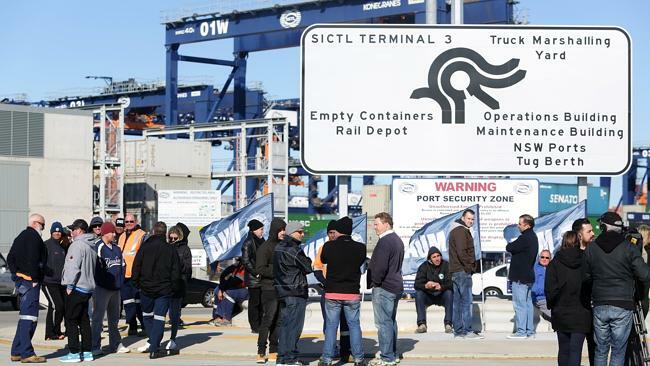 DOZENS of protesting port workers remained off the job at Port Botany in Sydney today despite a late-night attempt at conciliation between union reps and Hutchison Ports. 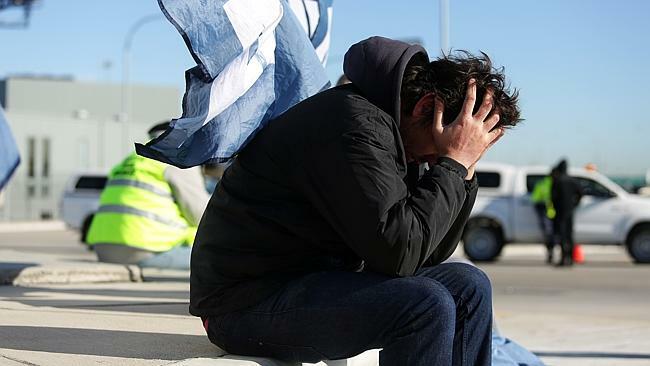 A spokesman for Hutchison Ports, which sacked almost 100 workers by email and text on Thursday, said talks between Fair Work Australia and the Maritime Union (MUA) fell flat and workers remained on the picket line in Botany and in Brisbane. “Fair Work Australia deputy president Anna Booth, and the company, ordered employees cease all forms of industrial action,” said a Hutchison Ports spokeswoman. 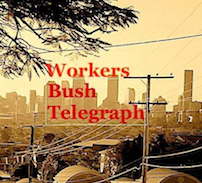 In a midnight text message on Thursday, 56 Sydney stevedores and maintenance workers — half the workforce at Hutchison Ports’s container terminal at Port Botany — were told to immediately check emails bluntly telling them not to bother to turn up for work the next day. Along with about 40 staff at the company’s Brisbane terminal, they were being made redundant, the email said, and their personal belongings would be couriered to their homes. The “difficult decision” was made after the company announced in late June it was downsizing, Hutchison chief financial officer Chee Keong Chan said in a statement. Devastated: 56 stevedores and maintenance workers in Sydney lost their jobs after Hutchison Ports sacked them via a midnight text and email. 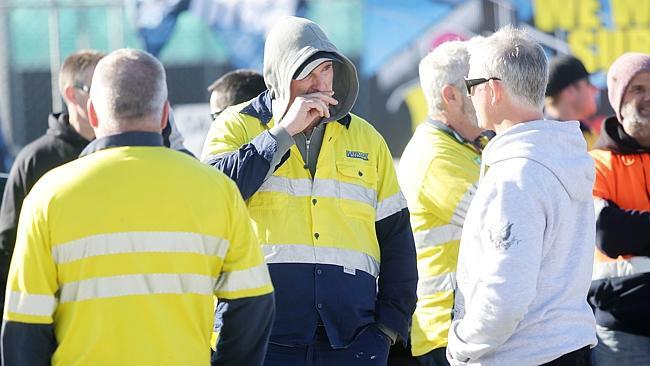 Workers gathered outside Hutchison Ports in Botany on Friday after learning they had lost their jobs. The MUA says it will not back down until the shipping company sits down at the negotiating table, and has accused Hutchison of using the sackings as part of a strategy to de-unionise its workforce and completely automate its workplace. “We’re just really disappointed and frustrated,” MUA Sydney branch Secretary Paul Mcaleer said. “We have 50 families who are crushed. 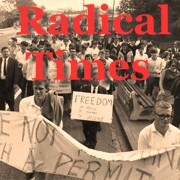 “This isn’t about 50 people made redundant because there is no work. There is work here. 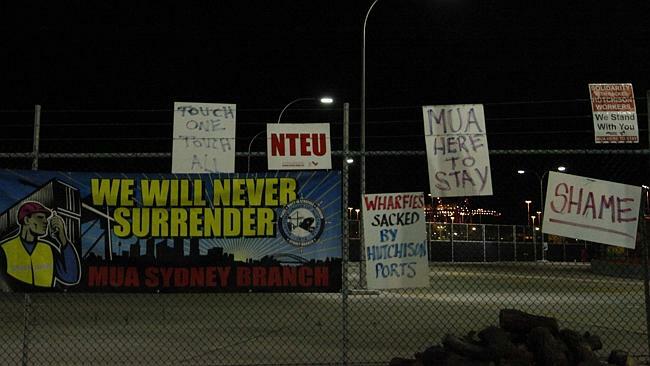 The MUA has vowed to back the workers’ protests until it can negotiate with Hutchison Ports Australia. The MUA has sought a Federal Court injunction against the sackings. Fair Work Commission deputy president Anna Booth issued an interim order on Friday night for employees to stop the industrial action, however the order is understood not to cover the MUA. The Fair Work hearing is expected to resume at 5.30pm on Monday. The MUA has also sought a Federal Court injunction against the sackings.